Common Subjects for all Students from Armenia, Azerbaijan, Belarus, Georgia, and Ukraine. 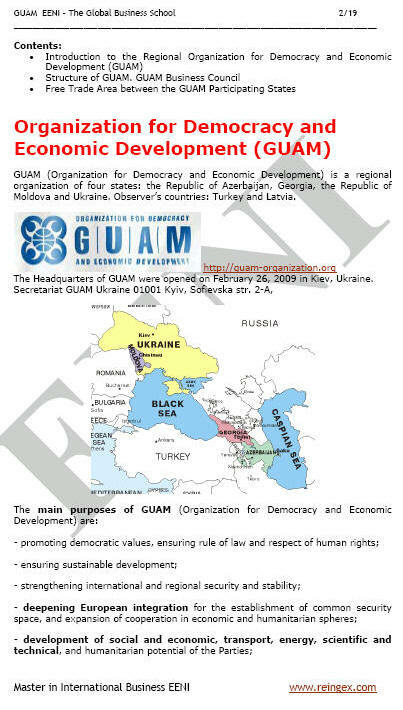 Armenia and Azerbaijan are members of the Asian Development Bank. Syllabus of the Subject: Armenian Economy and Foreign Trade. Armenia is a beneficiary of the Generalised System of Preferences and an observer country of the Eurasian Economic Community (EurAsEC). Syllabus of the Subject: Azerbaijani Economy and Foreign Trade. The ECO member countries are Afghanistan, Azerbaijan, Iran, Kazakhstan, the Kyrgyz Republic, Pakistan, Tajikistan, Turkey, Turkmenistan, and Uzbekistan. The CAREC Member Countries are Afghanistan, Azerbaijan, China, Kazakhstan, Kyrgyz Republic, Mongolia, Pakistan, Tajikistan, Turkmenistan, and Uzbekistan. 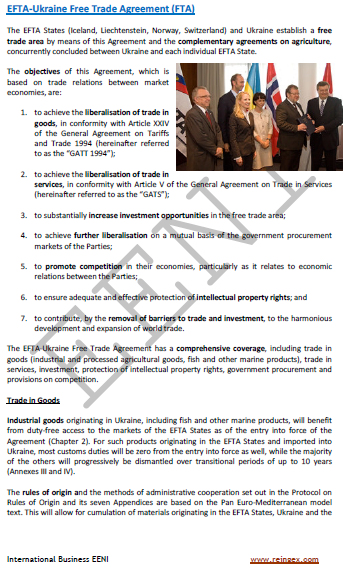 Syllabus of the Subject: Belarusian Economy and Foreign Trade. 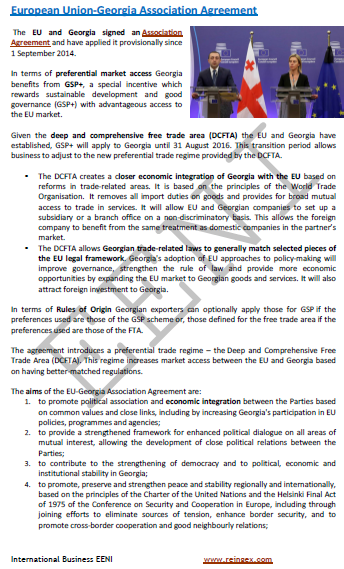 Syllabus of the Subject: Georgian Economy and Foreign Trade. 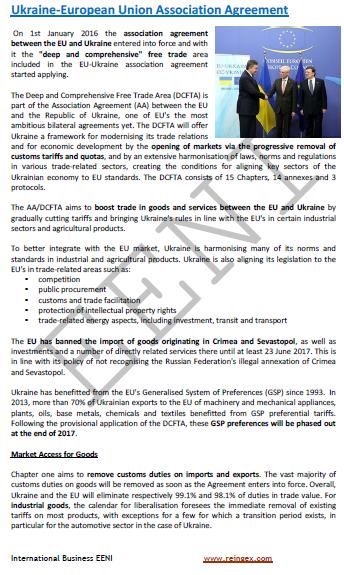 Syllabus of the Subject: Ukrainian Economy and Foreign Trade. Vision for the Baltic Sea Region by 2020. 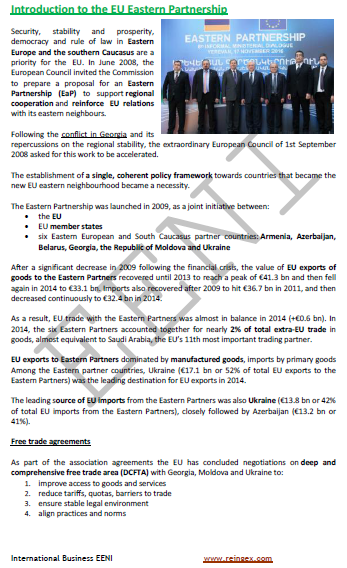 Ukraine is an observer country of the Eurasian Economic Community (EurAsEC), Association of Caribbean States (AEC) and Latin American Integration Association (ALADI).